Today we bring you some good news, and some bad news, about the US shale revolution -- which has been the saving grace in the US economy over the last few years. 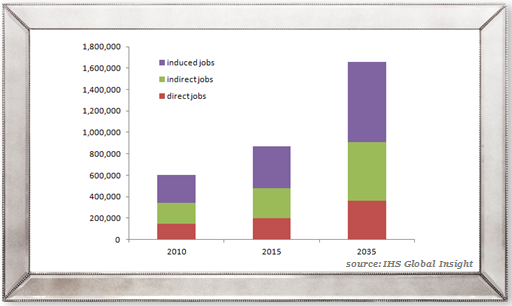 The U.S. shale boom... has transformed the U.S. energy sector. 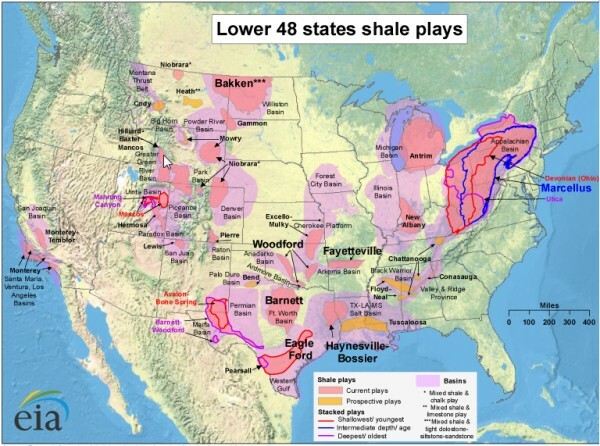 Shale gas alone is now 10 percent of the overall energy supply in the country. ...the Obama administration is working to increase federal control over hydraulic fracturing in the United States. In April of this year, President Barack Obama issued an Executive Order on hydraulic fracturing that created a working group of 13 executive branch departments to coordinate policies between departments, share research and information on hydraulic fracturing, and ensure that the federal government spoke with one voice on the subject. This was in response to actions being undertaken by the Environmental Protection Agency to release new air pollution regulations for shale gas drillers and by the Department of Interior to release new hydraulic fracturing regulations for drilling on public lands. Obama conveniently (and duplicitously) claims credit for the shale revolution, while his administration works behind the scenes to clamp down on the technologies which made the revolution possible. Plentiful oil & gas opens the door to a wide range of other industries to grow -- and to return to the US from overseas. No wonder Obama wants to stop it.